“Most content marketing is stuck in the ‘meh’ gear.” Robert Rose knows a thing or two about content marketing. He literally co-wrote the book on it. As Chief Strategist for the Content Advisory Group with the Content Marketing Institute and a Senior Contributing Consultant for Digital Clarity Group, he helps organizations throughout the world enhance their content marketing and customer experience. 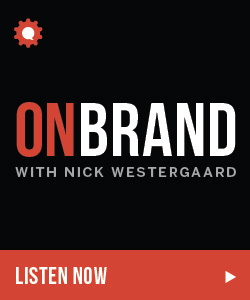 We talked about content today, tomorrow, and in the new year ahead on this week’s episode of the On Brand podcast. 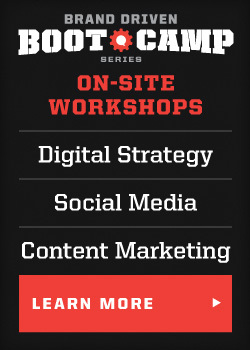 Robert Rose is in the business of helping marketers become stellar storytellers. He is the Chief Strategist for the Content Advisory Group with the Content Marketing Institute, and a Senior Contributing Consultant for Digital Clarity Group, Robert helps develop content and customer experience strategies for large enterprises such as Oracle, The Bill And Melinda Gates Foundation, Allstate Insurance, Microsoft, Capital One, AT&T, Petco and UPS – helping them create powerful customer experiences through digital media. As an author, Robert’s book Experiences: The 7th Era Of Marketing has been called a “treatise, a call to arms and a self-help guide” for “creating the experiences that consumers will fall in love with.” He co-hosts the podcast This Old Marketing with Joe Pulizzi, frequently a top 20 marketing podcast on iTunes and downloaded more than 50,000 times each month. Robert’s book with Joe, Managing Content Marketing, is widely considered the “owner’s manual” of the content marketing process. 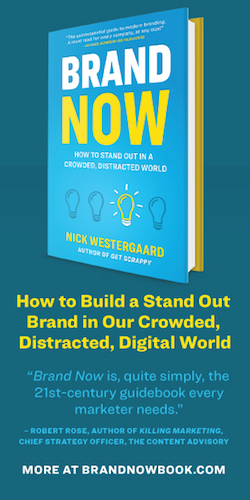 It’s been translated into multiple languages and spent two weeks as a top ten marketing book on Amazon.com since its debut in 2011. 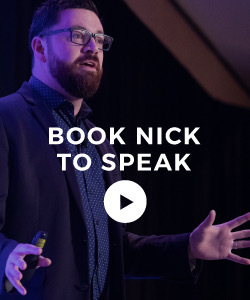 As a storyteller, Robert is a frequent keynote speaker and web marketing expert, advising top professionals in the successful strategy of content marketing and customer experiences. Robert is, and has been, widely quoted worldwide in the press, including publications such as The Guardian, Wall Street Journal, Wired, CBS Interactive and BusinessWeek. 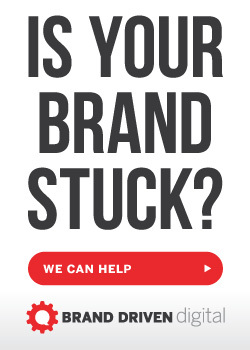 Why is it hard to be a content brand? “It baffles me that we’ve never quibbled when media productizes their content. But all of a sudden it feels odd when marketers create content about their products?!? Why can’t Starbucks provide a newspaper? No journalists? That’s a talent problem.” And one that can often be solved by acquisition or “acqui-hire” (I love this new term that Robert’s friend coined). What brand has made Robert smile recently? Robert shared two recent holiday ads. First, the Polish auction company Allegro, melted hearts with a grandfather’s gift to his newborn granddaughter. And, of course, Amazon’s touching new holiday ad for their Prime service featuring two old friends who discover they share a problem. To learn more about Robert Rose, check out his website. Before we go, I want to flip the microphone around to our community … Recently Ron Vezina in Ottawa gave us a shout for our episode on naming featuring Mike Pile. Thanks for listening Ron! This entry was posted in Podcast and tagged content brands, content marketing, content marketing institute, content marketing strategy, content strategy, managing content marketing, robert rose. Bookmark the permalink.